Requests for repeat prescriptions should be written, sent by fax or submitted using our on-line repeat prescriptions facility. We do not accept requests over the telephone due to the risk of errors. If the request is for a medication that is not on your normal repeat list it will need to be authorised by the doctor and this may possibly result in a delay in issuing the prescription. We therefore ask you to give us as much notice as possible of such needs. You may also be asked to make an appointment to see a Doctor to ensure that the appropriate prescription is issued. If you have been requested by a Consultant or Hospital to see your GP for medication, we will still need your written request or the request to be submitted on-line, in addition to a letter / fax from the Consultant detailing your medication. To obtain your personal login details please visit the surgery with some form of photo ID and they will be able to generate your login details for you. Please allow three working days before collection. If a request is received after 6.30pm then the 3 days will run from the beginning of the next day that the Practice is open. Written requests should be made using the right hand tear-off portion of your previous prescription with the appropriate items ticked. Otherwise there is a request form available from reception or a written request will be accepted with full details of the items required and your name and date of birth given. You will be asked from time to time to book an appointment with the doctor to review your prescription before another one is issued. The review date is shown on your repeat list. Please allow three working days before collection. If you wish your prescription to be sent directly to a specified chemist, please give full details of the chemist on the repeat prescription form or request. Many of the local pharmacies will collect your prescription from the surgery and provide a home delivery service (e.g. Kamsons, Boots). Please enquire at your usual Chemist. The pharmacy is where you go for medicines and for the pharmacist's advice on how to take them. Pharmacists are trusted health professionals whose job is to help people get the best out of their medicines. Your local pharmacist will be able to tell you all you need to know about your prescription medicines because he - or just as likely she, as half of all pharmacists are women - has spent years at University studying the composition and actions of drugs. so they know exactly what's in your medicine and will be happy to answer any questions. They understand that it's only too easy to come away from your doctor's surgery uncertain about when and even how to take you medicines... should you take the tablets before or after meals?...Are you using your inhaler properly? You can be sure that your pharmacist will see that you get your medicine at the right strength and in the right dose and will check that you know how to take or use it properly. If you're feeling off-colour, but don't feel ill enough to go to the doctor, ask your pharmacist for advice. Pharmacists have been trained to offer helpful, easy-to-understand advice on the treatment of every day minor ailments for yourself and all the family - anything from headaches and coughs an colds, to cold sores, thrush or dermatitis. Your pharmacist will know when medical help is needed and will not hesitate to refer you to your doctor if your symptoms demand it. Often, however, an over-the-counter remedy will be all you need. 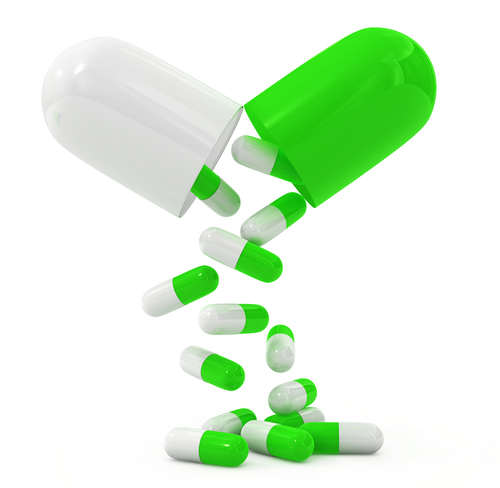 It's worth remembering that pharmacies offer far more medicines than any other outlets. That's because many of today's effective non-prescription medicines can only be supplied under the supervision of a pharmacist, which means they are only available at a pharmacy. when you ask for a medicine, your pharmacist will need to ask you a few simple questions before recommending appropriate treatment. Do remember that they are not trying to pry. Their only concern is that you get the best possible advice for your problem and that the medicines yo receive are suitable for you. And remember, too, that you can talk to your pharmacist in confidence - even about the most personal symptoms. 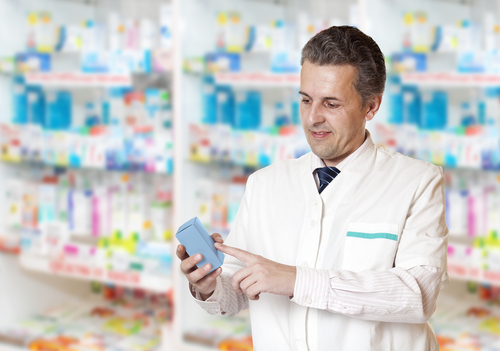 Like doctors, pharmacists have a professional code that means all personal information you give them will be treated in the strictest confidence. Most pharmacies now have a private consultation area, out of earshot of other customers where you can speak to the pharmacist more privately. Tell the pharmacist if you want to have a private chat. Confidential Patient Medication Records - these contain full details of all your prescription medicines - which help your pharmacist check for possible problems, such as side-effects and adverse reactions. Screening - many pharmacists offer pregnancy testing and blood pressure, cholesterol and weight checks. Free Information Leaflets - to help you understand more about issues such as preventing heart disease, giving up smoking, breast screening and contraception. Prescription Collection & Delivery Service - your pharmacist can collect repeat prescriptions from your doctor's surgery - and can offer a delivery service for those who are not able to leave the house. Help for Disabilities - many pharmacists stock equipment to make life easier for those who find mobility difficult. Stoma and incontinence products are also available. Baby Needs - always talk to the pharmacist if you want a medicine for a baby or a child.You can get a wide range of baby supplies from your pharmacy as well as advice on how to use them. Holiday Health - your pharmacist can advise you on whether you need to see your doctor for any holiday vaccinations. Malaria protection advice as well as a range of insect repellents, sunscreens and remedies for holiday tummy upsets are also available. Pet Health - you can go to the pharmacy for medicines and treatments to keep the family pet in peak condition and free from worms and fleas. So make a friend of your local pharmacist - for the sake of your own and your family's good health. Ask Your Pharmacist - You'll Be Taking Good Advice!